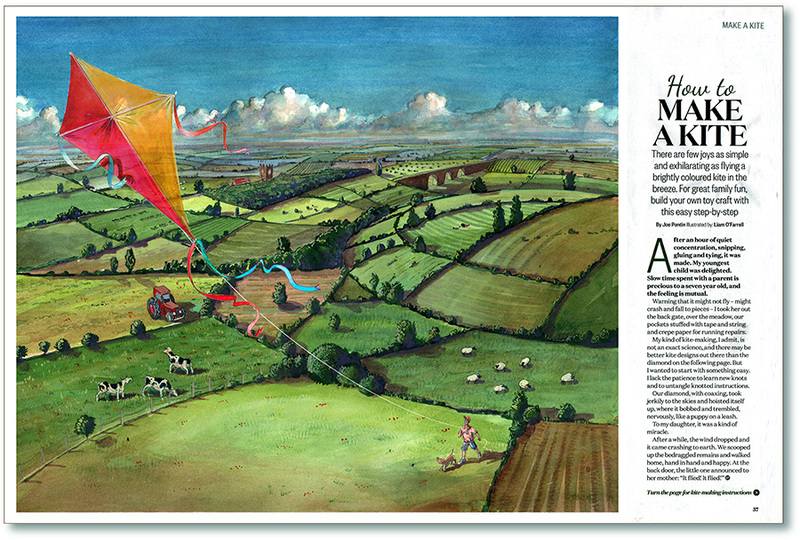 I was pleased to be invited to contribute an illustration to July’s issue of the BBC Countryfile Magazine. “If you love the great British countryside and the great outdoors, you’ll love BBC Countryfile Magazine. 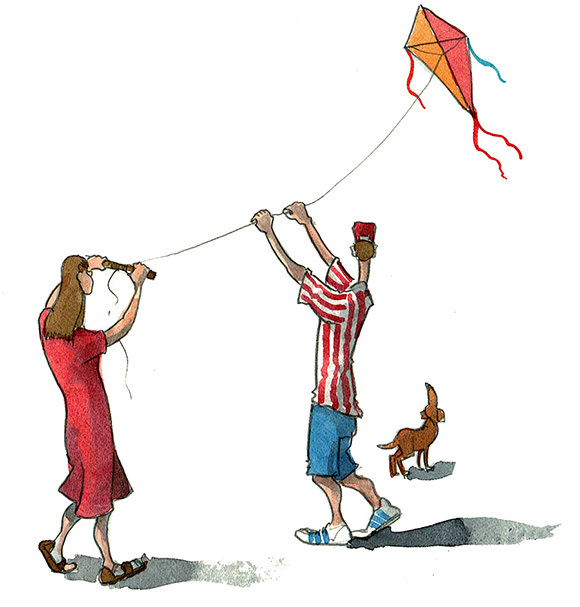 I was asked to illustrate the making of a kite. I had experience of this. 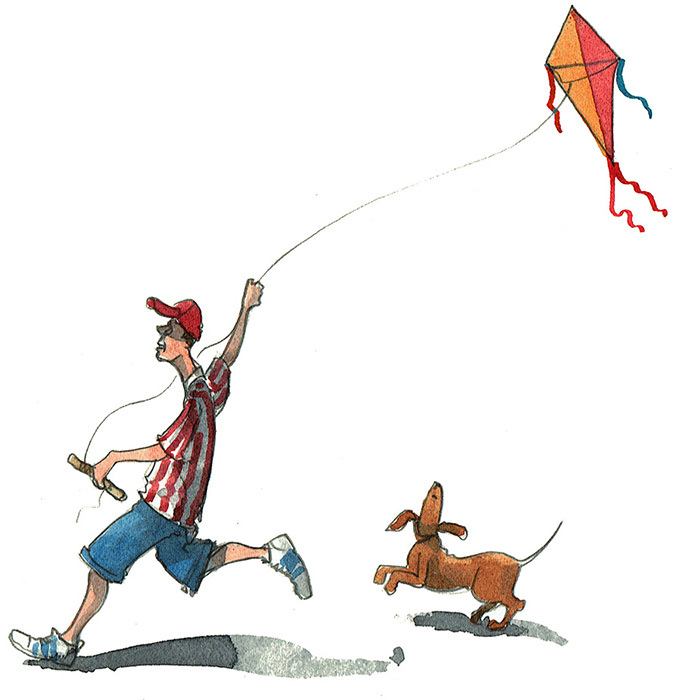 As a child, I recall attempting to make a kite. I am not the most practical of people and it all turned out a total mess. I recall taking it on its first flight and it immediately folded up like a cheap suit. Never mind. Thankfully in this article I illustrated step by step instructions which your modern child can follow, and hopefully have a bit more success. The main part of the job, however, would feature the two children cheerfully flying the kite in the British countryside. I produced the initial visuals based on the fields around the Vale of Avalon where I live in Somerset. This has quite a hilly landscape so it is not suitable for vast fields of crops. You will find, instead, the classic patchwork of small fields divided by hedges. There are some specialised crops, which vary the colours and tonal values of each field, interspersed with fields of sheep and cows. The overall effect is wonderful and I thank myself daily for living in such a beautiful place. Once we agreed on the initial concepts, I went ahead with the final illustration. It was a real joy to do and looks pretty effective in the final magazine. That said, I won’t attempt making another kite. I know my limits. You can buy July’s Issue on this link here. Love it, the countryside is pretty and the guy with the kite looks like he is having fun!